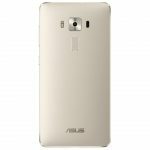 Interested in buying a Zenfone 3 Deluxe? Price is $499 USD but often it is on sale. Full details listed here. 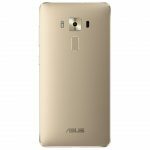 The Asus Zenfone 3 Deluxe is the most premium offering available of the entire Zenfone series. Asus has pushed their design, hardware and pricing into new territory with this smartphone. 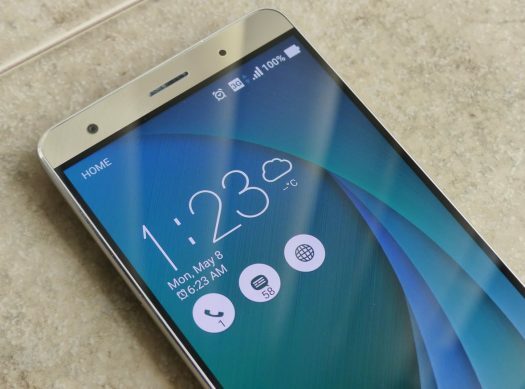 Looking back since its release, the Zenfone 3 Deluxe exceeded expectations. It started at a pre launch Asus investors conference where Jerry Shen, Asus CEO, mentioned some uncertainty on Zenfone 3 Deluxe sales because it would be higher priced that any other smartphone that they had release previously. As it turned out, the most talked about and most anticipated model was in fact the Zenfone 3 Deluxe. 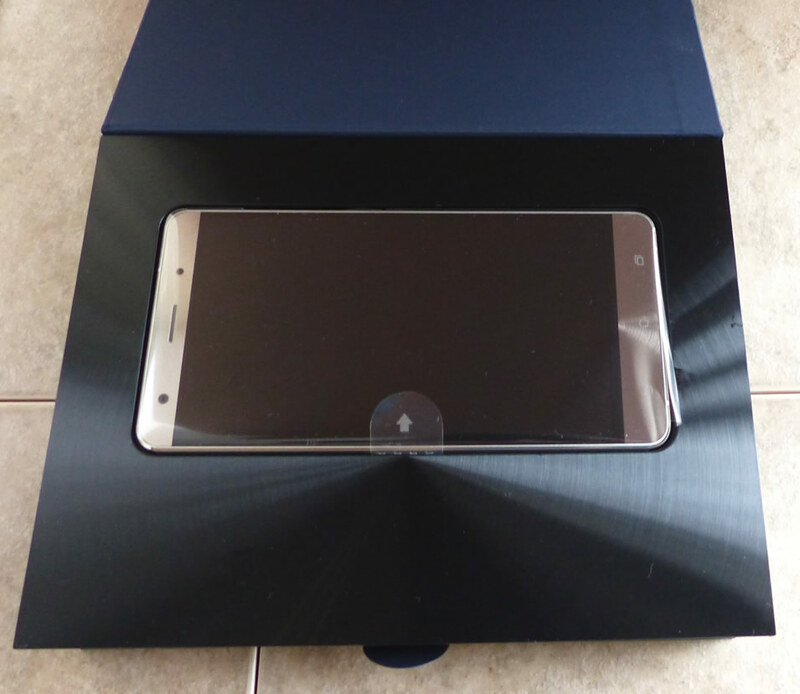 To the surprise and delight of Asus, the ultra premium Zenfone 3 Deluxe Special Edition which has the almighty Snapdragon 821 processor and 256GB storage was capturing a lot of praise and excitement from the tech world. 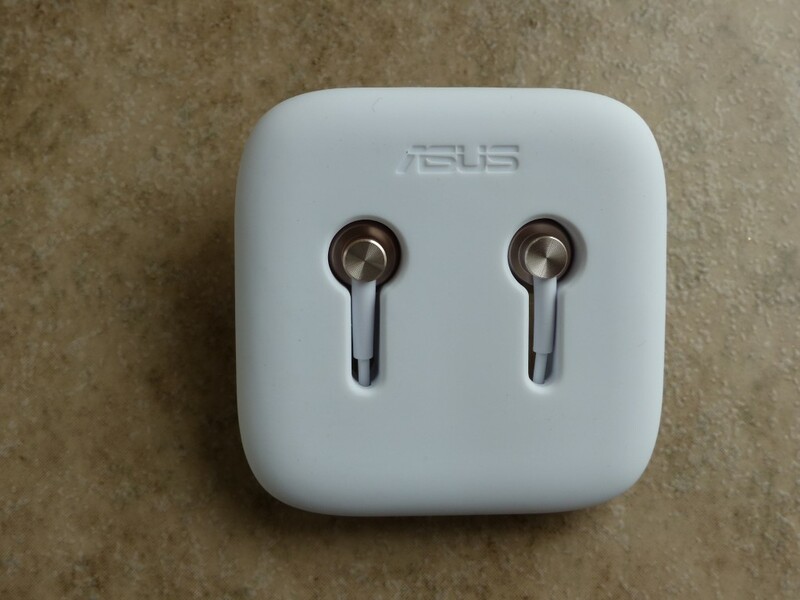 Certainly a high price didn’t scare anyone away which was a surprise to the Asus executives. It also meant that initial demand outweighed the supply. Now that it’s mid 2017, supply issues are not an issue and you will find the Zenfone 3 Deluxe in stock at your typical retailers. Additionally you may actually start to see slight sale prices in the coming weeks and months. So the message to Asus is that consumers actually want the fastest smartphones on the planet. That may not be the case for every market, but certainly there are more people wanting to spend their money on the cutting edge hardware than Asus expected. With this being the most premium Zenfone 3 offering, it has pretty much everything you want or need short of having an exchangeable battery or stylus support. It’s more expensive that the other Zenfone 3 Series phones so I’m here to tell you whether this model is worth the extra money. 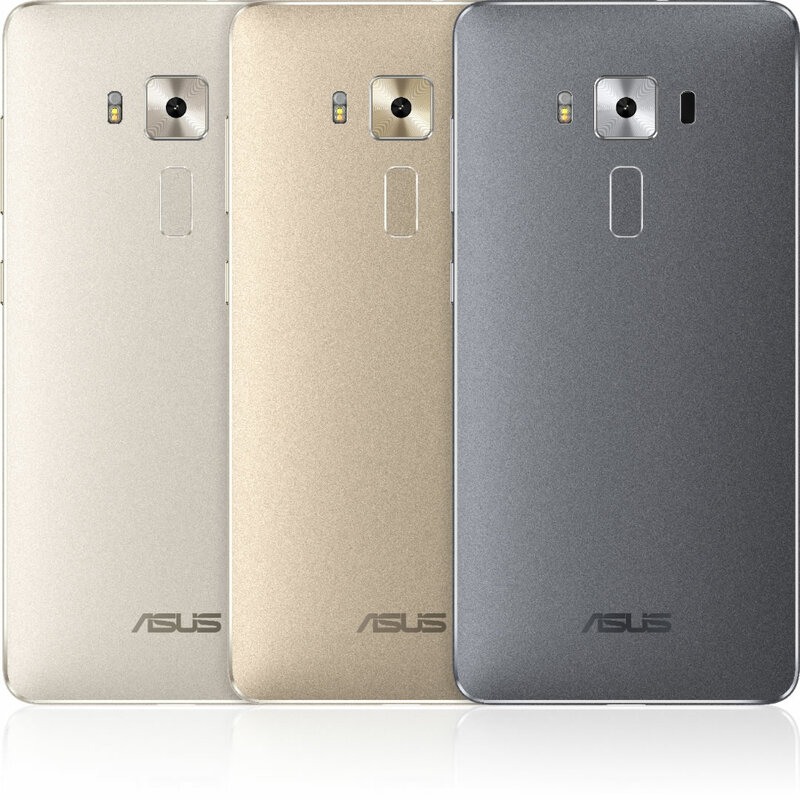 The Zenfone 3 Deluxe comes in either gold or silver. My model is the silver version although the two colors are strikingly similar. If smartphones are like cars, then consider the Zenfone 3 Deluxe a luxury car. A luxury car has that special look to it. It’s unlike most every other car on the road. Similarly, the look of the Zenfone 3 Deluxe stands above most every other smartphone out there. This phone can only be fully appreciated when you can see it in person and hold it in your hands. Until you have it in your hands you simply won’t appreciate it quite as much. Trust me when I say I’ve seen a lot of images and video of the Zenfone 3 Deluxe but they can only tell half the story. When I unboxed this smartphone I understood the price, why they called it “Deluxe”, and why it has won so many design awards. Asus has done an incredible job from the Zenfone 2 series to the Zenfone 3 series in term of design and looks. The base model Zenfone 3 (ZE552KL/ZE520KL) is a beautiful looking phone in its own right. That glass covered body is elegant! However the Zenfone 3 Deluxe brings with it a different premium look. 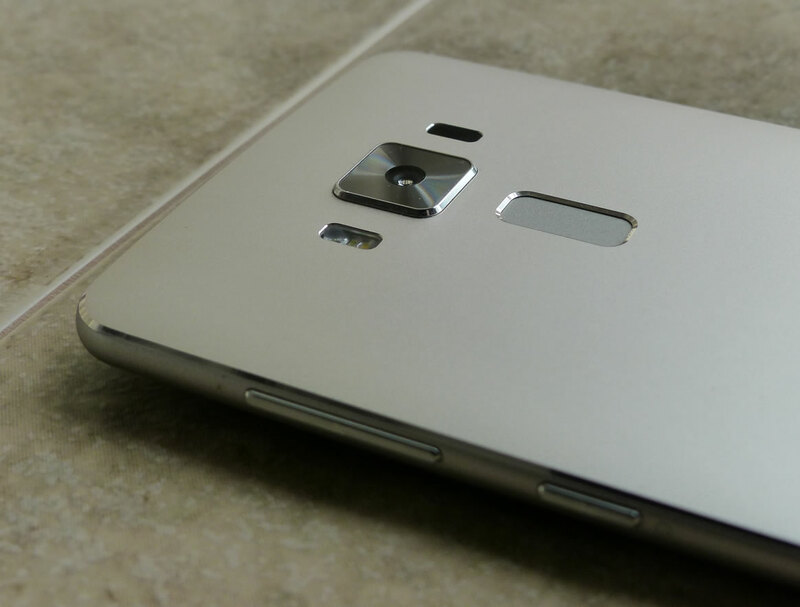 It’s a look of metal, brushed aluminum. 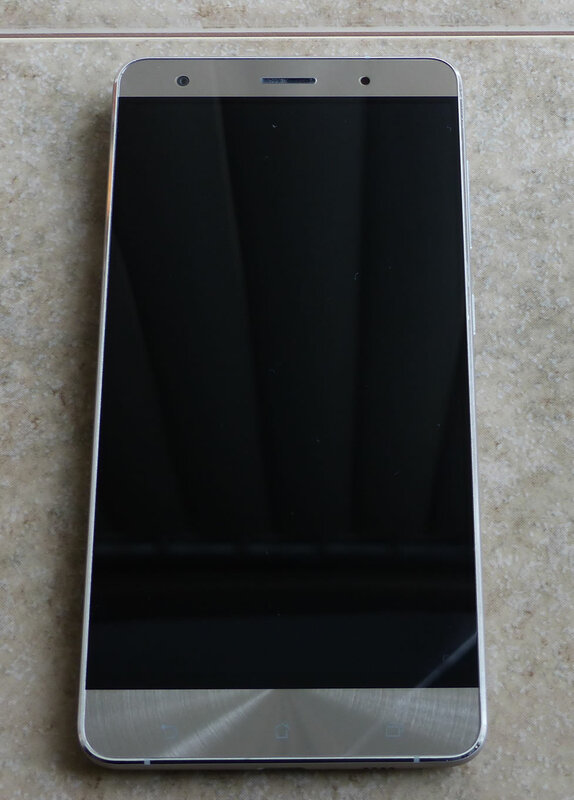 It has a clean back without antenna lines etched into the rear. It’s simply as clean as you can get. There is no goofy shape going on here like the wedge of the Google Pixel XL. There are no clashing textures on the rear of the phone like the Google Pixel XL. There are no lines running edge to edge on the rear of the Zenfone 3 Deluxe like the almighty Apple iPhone. It doesn’t have the unconventional curved glass edges like the Samsung Galaxy Edge design. 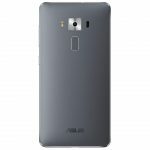 The Zenfone 3 Deluxe does not have a flat back. Rather, Asus has employed a slight convex or canoe like shape which allows it to fit even better in your hand. Asus succeeded. This curvature is a winner and makes sense from a usability and functionality perspective. 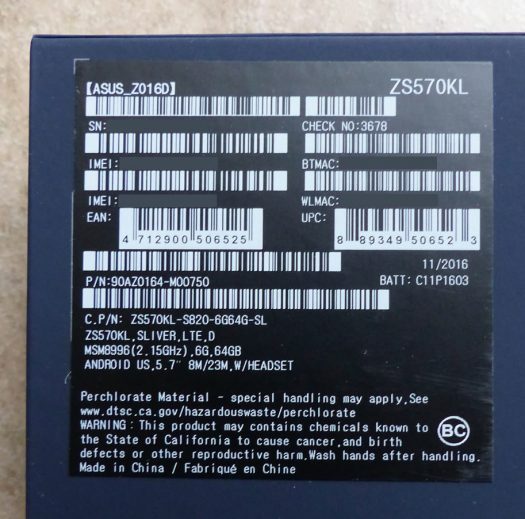 I sure hope that it’s a design that Asus employs for their next generation Zenfone 4 series. 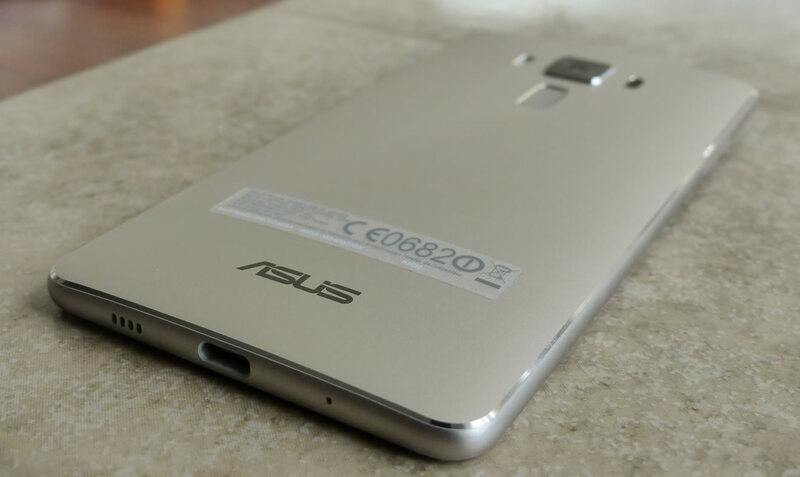 Asus has chosen to put the finger print sensor on the rear of the phone. From a practical perspective I’m not a big fan of this placement but it is super fast to unlock the phone. The rear placement of the finger print sensor simply means that when the phone is on the table you need to either swipe and enter a PIN code (in my case) or I need to pick up the phone in order to use the finger print sensor. Sure life is so tough right? This is obviously a minor quibble and not a deal breaker. However in real terms I couldn’t use the finger print sensor as much as I wanted to simply because of the location. On the front of the Zenfone 3 Deluxe, Asus has the typical three capacitive buttons. 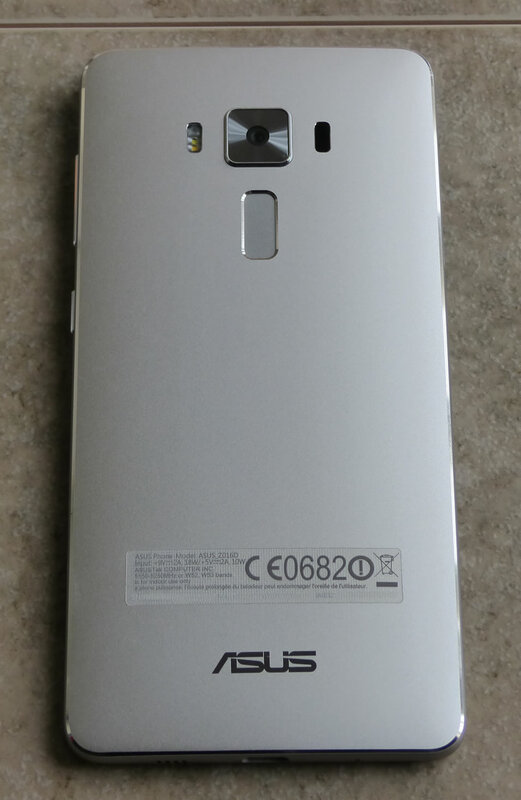 Unlike the other Zenfone 3 models the Zenfone 3 Deluxe capacitive buttons are backlit. In theory the backlight should help you find the button but the light doesn’t activate until you touch on one of the buttons. Lighting up after the fact serves little purpose. 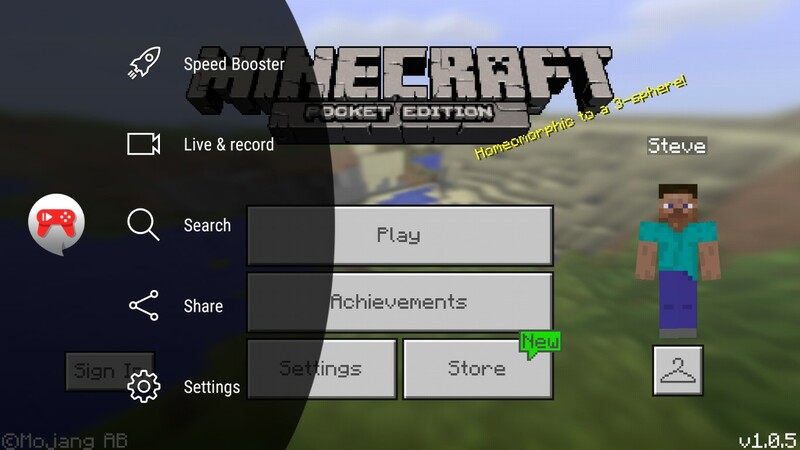 If this is your first Android device don’t worry because after a short time you will know where the “back” button is and where the “recent apps” button is. If you are so inclined, you can in fact have the back light on all the time by getting into the settings. The volume rocker and power buttons are located on the right side of the Zenfone 3 Deluxe. These buttons feature the much loved “concentric” circle design which actually makes the buttons less slippery. The circle design is more than just good looks! Response on the buttons is terrific. If you’re planning on buying this phone I highly recommend on buying a case that leaves the buttons exposed rather than covered. I discovered on my cheap clear case that because it covers the buttons, the silicone over top can create a slightly more cumbersome button press. 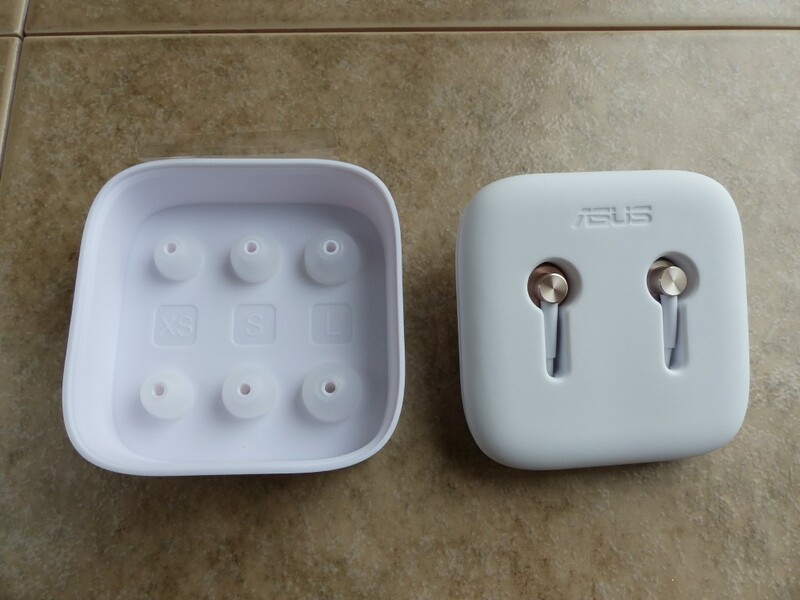 The official Asus clear case for example leaves the buttons fully exposed which is what you want. The bottom of the phone features the USB-C charging port with the single mono speaker along side. I will get deeper into the audio experience but that smallish looking speaker grill can deliver crisp, loud audio. The ZS570KL is the only Zenfone 3 model at launch with a super AMOLED display. The other Zenfone 3 models come with an IPS or IPS+ display technology. Samsung is well known for quality AMOLED displays and the iPhone series uses IPS technology. It’s difficult to describe the difference between the IPS+ display found on the main Zenfone 3 models and the super AMOLED display found on the Zenfone 3 Deluxe. I can honestly say this. 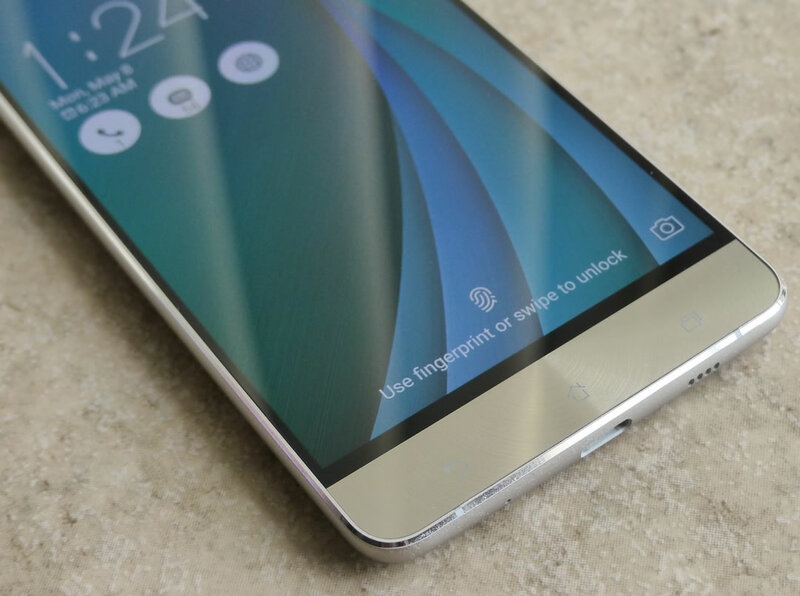 The super AMOLED is simply more premium looking. It has a sheen to it which is extremely pleasing to the eyes. It’s a selling point for sure and it’s worth paying extra to have. Asus is a bit tricky with the Zenfone 3 Deluxe default setting. If you think those colors are rich when you first use the phone, you’re right. 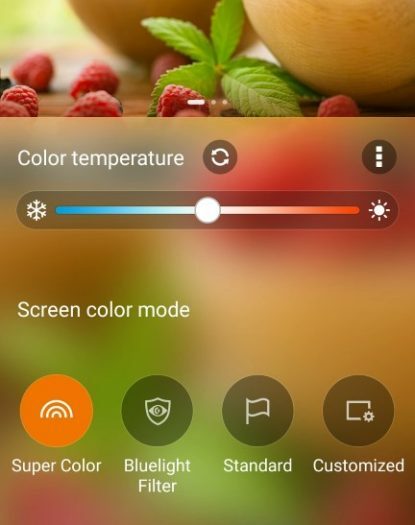 Upon closer inspection, I noticed in the Asus “Splendid” app that the default display setting is “Super Color” mode rather than the “Standard” mode. The characteristics of the Zenfone 3 Deluxe display allow it to perform well in outdoor conditions. 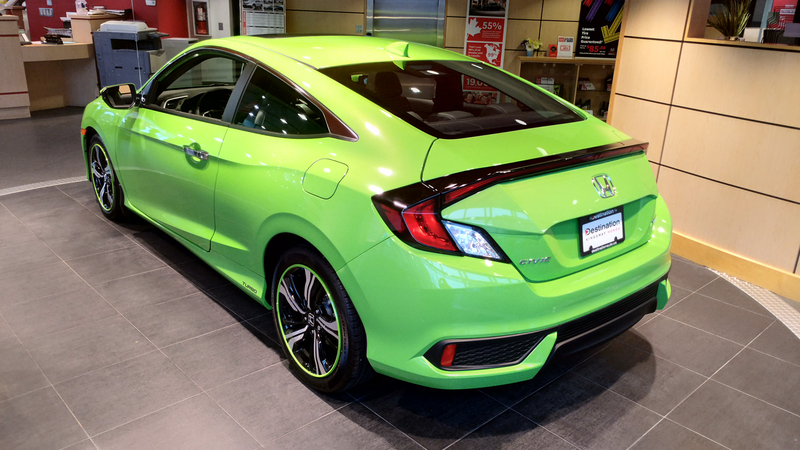 It’s not overly reflective and the brightness can stand up to bright sunlight. I don’t have a brightness (nits) rating on the Zenfone 3 Deluxe display but it’s impressive enough. The Zenfone 3 Deluxe (ZS570KL) is a 1980 x 1280 FHD 1080p display which is equal to the flagship iPhone series. 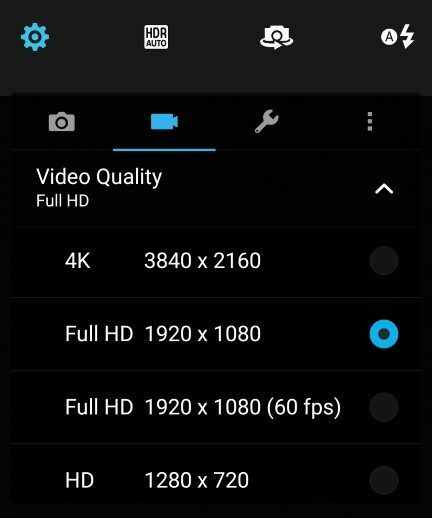 Yes there are smartphones with higher resolution such as the Galaxy S series, but there are benefits for going with a 1080p display such as better battery life. Can eyes distinguish such high resolutions on a device with a 5.5-inch or 5.7-inch display is really the question. The Zenfone 3 Deluxe (ZS570KL) comes with a 3000mAh non removable battery. This size of battery falls about the middle of the pack in comparison to other flagship smartphones such as the iPhone 7 Plus and OnePlus 3. The difference being that the Zenfone 3 Deluxe is the larger 5.7-inch display whereas those other phones are 5.5-inch displays. The Zenfone 3 Deluxe features Qualcomm Quick Charge 3.0 technology. This is one of those extras which make this the more premium model and the other Zenfone 3 models do not have it. To make use of this feature, you need a compatible charger which we can happily report comes with this phone. On the surface, quick charge technology sounds amazing but there is more explanation required. The Quick Charge 3.0 technology on this phone is simply terrific, but it’s not something that you can fully utilize all the time. It really depends on the timing. In some situations you won’t be able to make use of the Quick Charge 3.0 technology because of the reliance on the power adapter. So things like lamps, vehicles, power bars, and portable batteries that have USB ports won’t permit quick charging. For example, if you just need a battery top up, this technology isn’t going to have the same benefit as the times when your battery is below 70% charge. Quick charge technology is disabled after reaching 70% and the remaining 30% will charge at normal times. So when I did battery charge time tests the results were largely a mixed bag. If you are charging your battery from being completely drained, it will take approximately 80 minutes or 1hr 20min to reach 100%. From a completely drained battery, it takes approximately 50 minutes to reach 80% charge. If you are topping up from 80%, it will take approximately 30 minutes. If you are topping up from 90%, it will take approximately 20 minutes. If you are topping up from 60%, it will take approximately 1 hour. If you are topping up from 30%, it will take approximately 70 minutes or 1hr 10 minutes. From my daily usage, I rarely was below 50% when topping up at the night’s end. So in most instances, one hour of charging was about all I needed. If you’ve completely drained the battery then you can get it up to around 80-90% in less than an hour. Obviously charging times vary depending on your starting battery level, if you’re using airplane mode, have any open apps, phone temperature and if you’re using a Quick Charge charger. The bottom line is this phone charges fast which proved convenient. I’m always curious to know about battery drain overnight while a phone is in sleep or standby mode. Prior to the Android 7.0 Nougat update when I left the phone for around 8 hours overnight with wifi enabled with no apps open, I would generally see a 4-6% battery drop. However after the March update to Android 7.0 Nougat I noticed a big improvement for standby times. Nougat has a “doze” feature which puts the phone in an idle, low power mode and it really does work. You’re going to see a 1-3% drop overnight (approximately 8 hours) which is a big improvement. 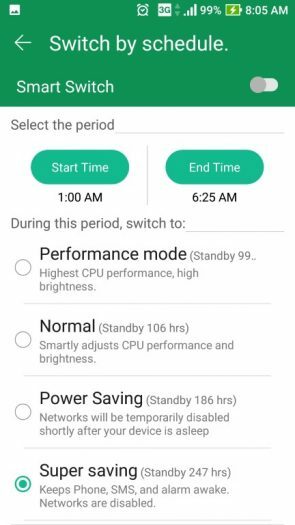 If you want to ensure better standby performance, Asus and ZenUI 3.0 offers a few different settings for performance modes and battery saving modes. It’s also nice to see some custom options like having a schedule setting for when the phone goes into a battery saving mode. This is called “Switch by schedule”. 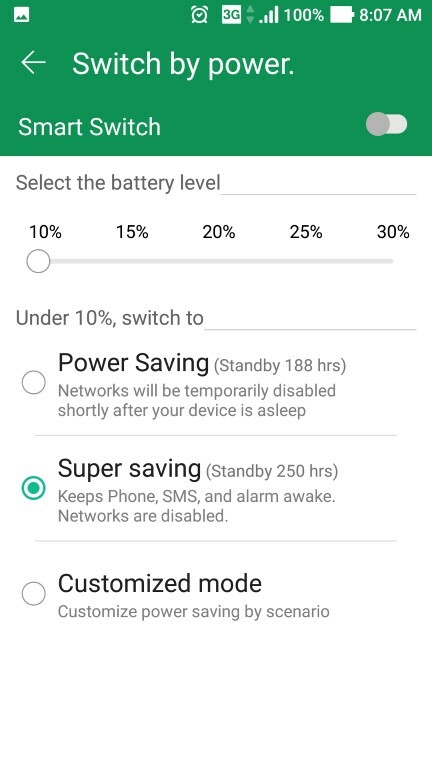 So you can set for example, that from 10pm to 7am, the phone will run a specific battery saving mode like super save mode. It’s incredibly flexible as to the timing of the schedule and the specific battery saving mode that you want to enable. In addition there is a “Switch by power” mode which lets you set a power mode based on your battery level. 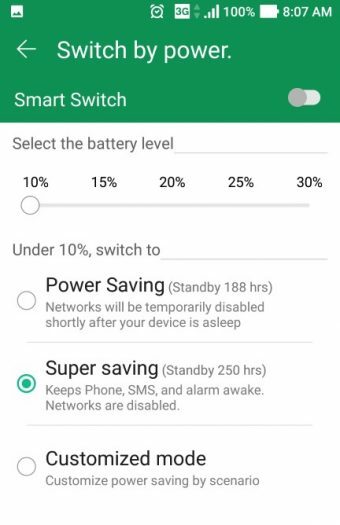 This mode let’s you set up a specific power saving mode on your choosing such at when your battery hits 30%, 25%, 20%, 15% or 10% levels. I ran a variety of battery tests. The big discovery is that the difference between running the Zenfone 3 Deluxe at 100% brightness vs. 50% brightness is marginal. When I ran a 2 hour action movie (1080p) at 100% brightness, the battery dropped from 100% to 84%. Running the same test except with 50% brightness, the battery dropped from 100% to 86%. This is the super AMOLED display at work. So you could watch a lot of movies off local storage if you’re on a long road trip. When it comes to battery life when streaming video, results were decent. I streamed using wifi connection with 100% full brightness and the battery dropped from 100% to 89% after one hour and then down to 77% after watching a movie for two hours. With brightness set to 50%, the battery dropped from 100% to 90% after one hour and then down to 79% after watching a movie for two hours. 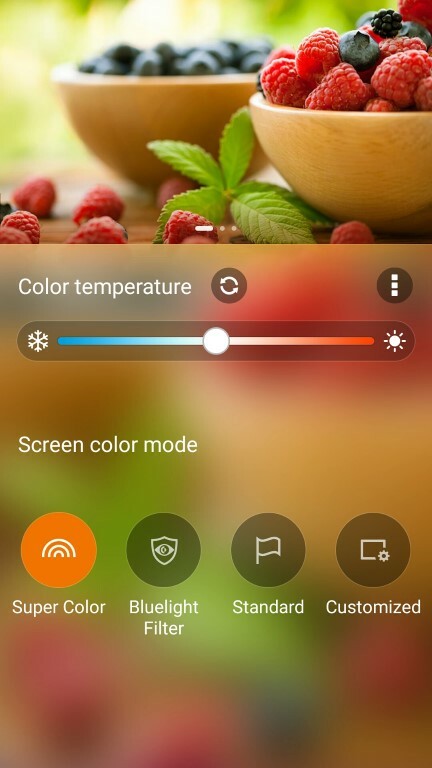 If you’re wondering about the Asus Splendid app settings for “Super Color” vs. “Standard” I tested that as well. 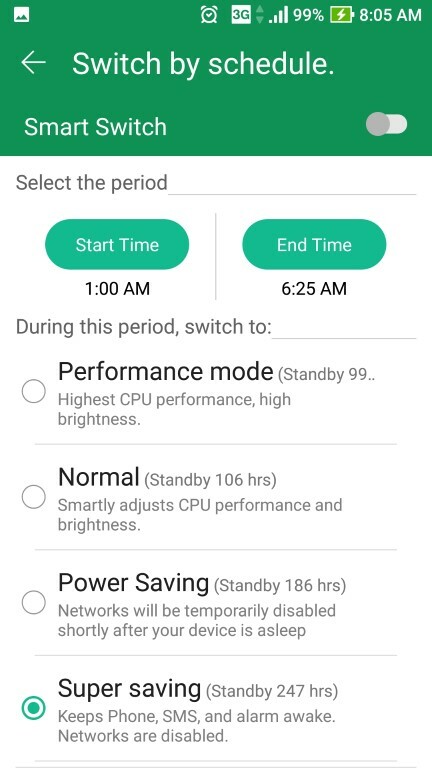 This setting has no effect on battery drain. More color is not detrimental to battery life. 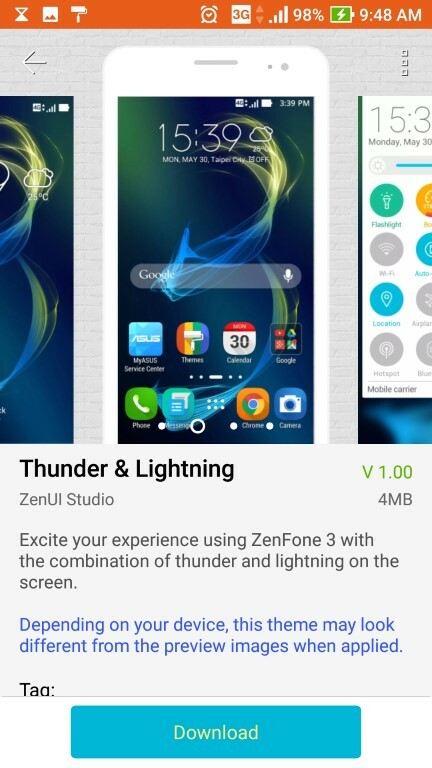 ZenUI is the Asus layer that runs on the Android OS base and 3.0 is the latest version. 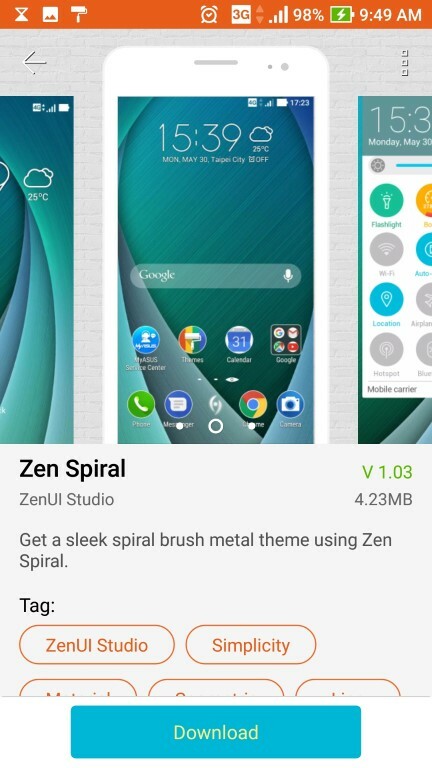 Asus ZenUI in the past got negative press about pre-installed apps aka bloatware. 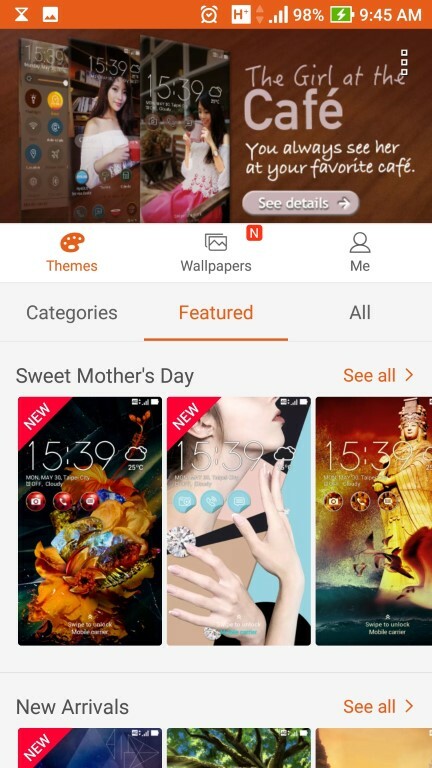 A lot of the fear is based on previous generations of Zenfone models which were more hindered by pre installed apps. 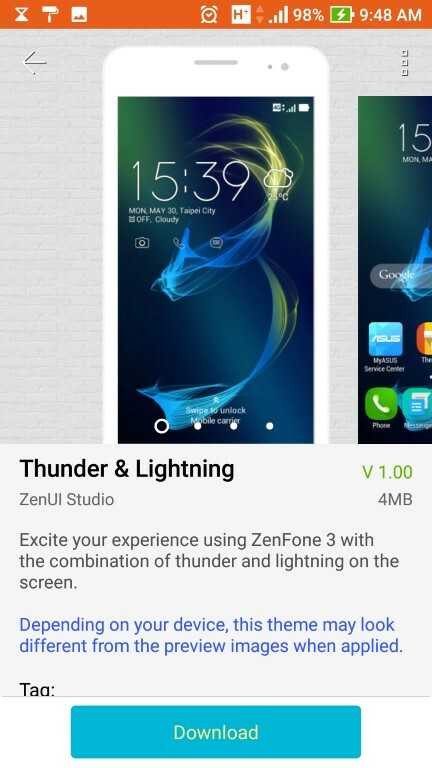 However this does not mean that the new ZenUI 3.0 and Zenfone 3 series are the same. 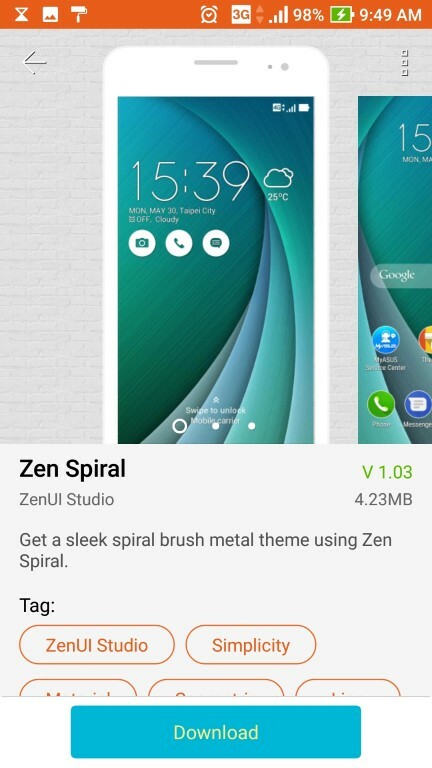 I’ve been using ZenUI 3.0 over an extended period of time and I find the fear and negativity misleading. So first off, when you first start the Zenfone 3 Deluxe you can go into settings, then apps, and simply disable any and all Asus related apps. Of course you would need to keep the keyboard otherwise you’re stuck until you download a different keyboard. The point is if you’re really so worried about pre installed apps you can disable them in a matter of minutes. Then when you go to your home screen and apps pages, they will be bare with the exception of the default Google apps. So from this perspective you can clear the table of Asus apps. Perhaps not uninstalled, but they will be gone from sight and mind. The pre installed app “Game Genie” is a bit of a nuisance. It’s on by default and will leave an icon onto of any game that you’re running. It’s like the icon is an overlay which sticks an icon on the left side of your screen while playing a game. I would first suggest checking out the features of Game Genie because it does interact with game streaming and other decent features. However if you want to remove it from sight and mind, you need to go a slightly different route than with the other Asus apps. You need to go into settings and then into “System Settings”, and into “ASUS Customized Setting”, then “Launch Game Genie Setting Page” to disable it. So if you want the Google dialer, you can find it and install it. If you want the Google clock, you can use that. If you want most of the Google apps on this phone, you can do it. 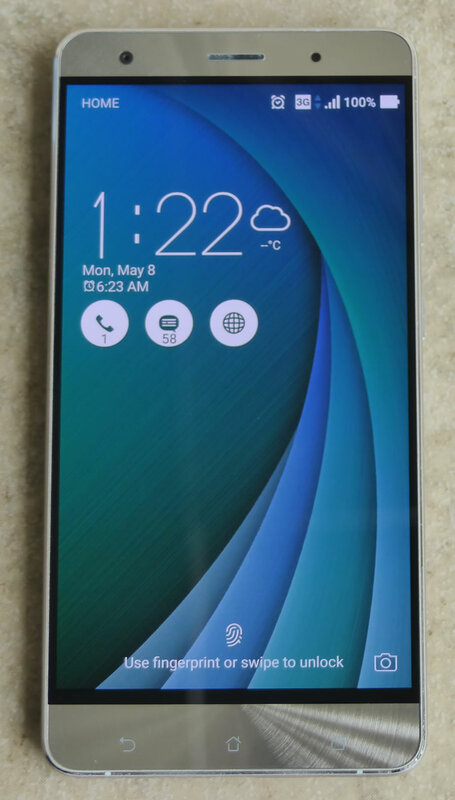 I was able to make the Zenfone 3 Deluxe very similar to what I had on my Nexus 5. The point I’m making is that ZenUI does not lock down the phone and you can switch things up and use other apps. In my case, I’m more comfortable and familiar with the Google apps and I installed them without issue. 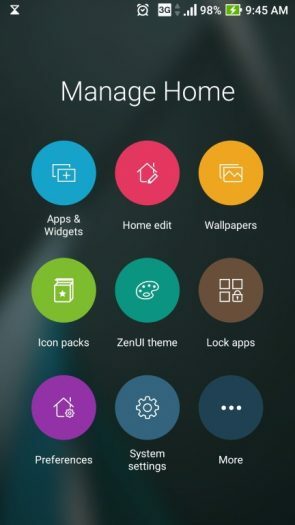 ZenUI did not restrict what default apps I could install or use. 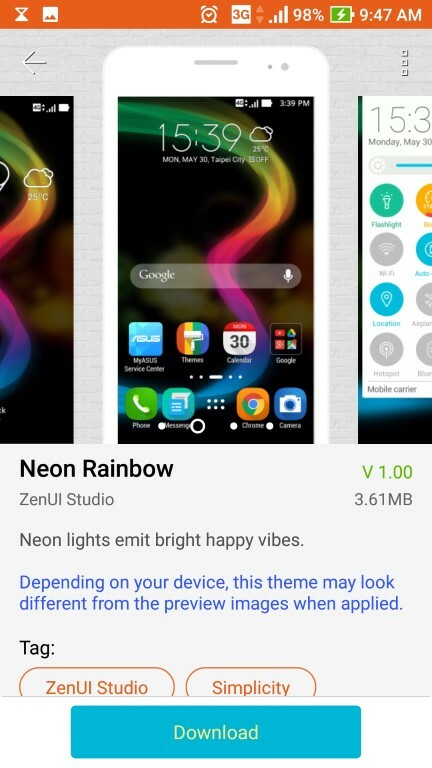 Where ZenUI 3.0 shines is with customization and personalization. 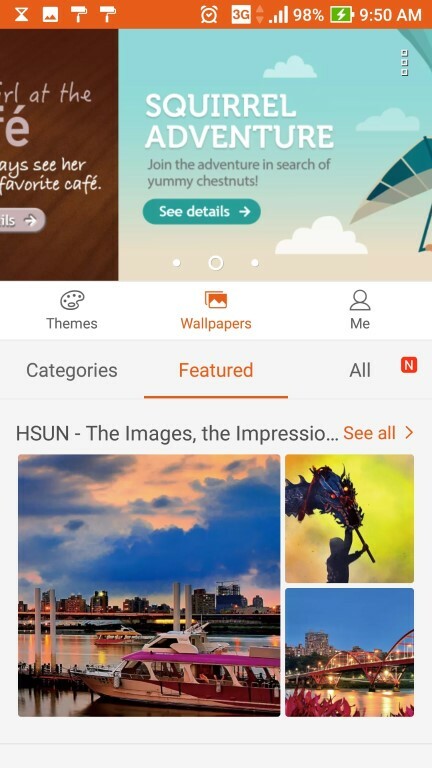 Choosing a theme is an easy process thanks to the Asus theme store. You can change fonts, icons and various other aspects of your operating system. There is a mini preview for themes and icon packs so you can see what it will look like before you decide to buy or download. There are free and pay options available. Where ZenUI 3.0 fails is in having too many layers or paths. This means that there are multiple paths to the same location. This also means that you can get a bit lost if you tweaked something and need to find out where you changed the setting. With the Android 7.0 Nougat update, a few quibbles I had with the pull down “Quick Launch” menu were cleaned up. 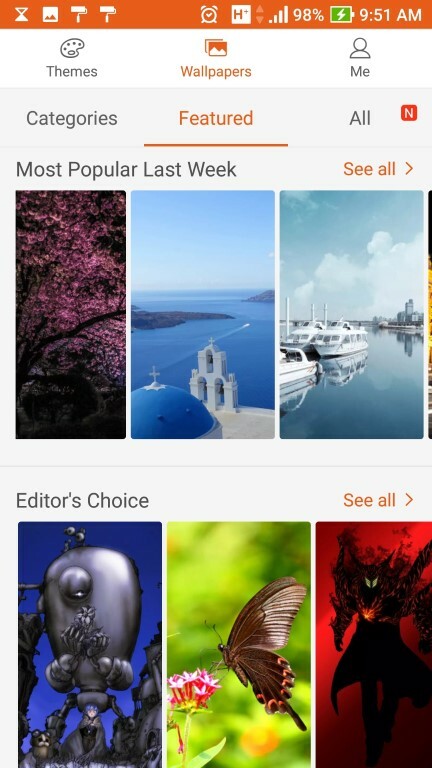 There is good customization and options available for this menu in addition to a cleaner more pleasant look. 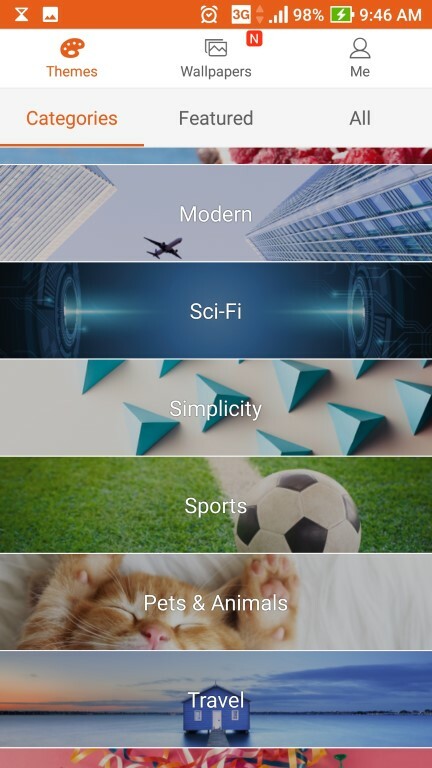 On your home screen, Asus ZenUI 3.0 has a bottom menu which can be accessed via an upwards swipe from the bottom of the screen. Apple users will be familiar with this swipe motion. So at first glance it would appear that this bottom menu is highly redundant. However I started to realize that swiping from the bottom to access system settings was ideal for one handed use in comparison to accessing the top menu. I only wish that the bottom menu allowed for some shortcut or settings like Bluetooth, Airplane mode or Do Not Disturb. If you are not that mindful of closing apps, Asus help with their ZenUI reminder notification. If ZenUI recognizes a battery draining app that’s running, you will receive a notification. This is actually very helpful because some games for example, will seriously drain your battery as they run in the background. 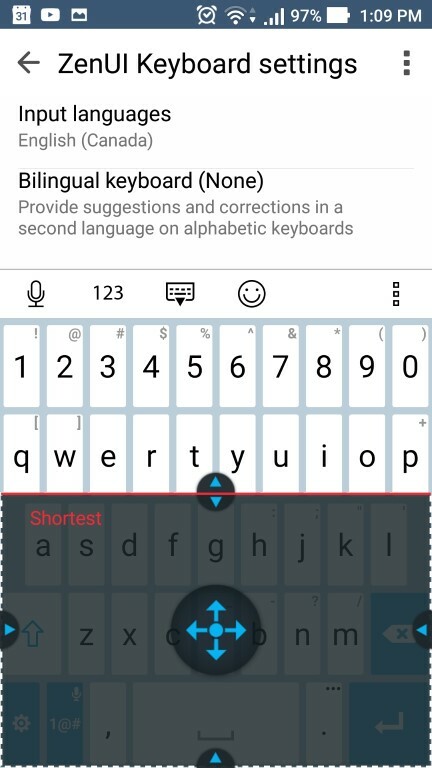 One aspect of ZenUI 3.0 that I can really appreciate is with the keyboard customization. 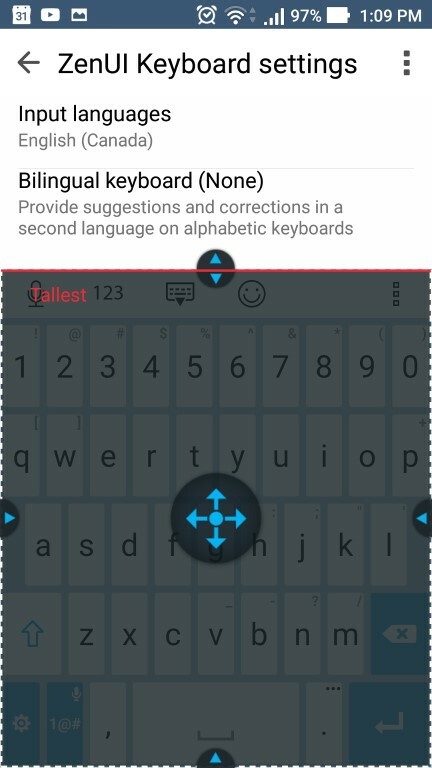 Now I’ve read reviews that criticize the Asus keyboard and they suggest you should immediately install the Google keyboard. I tried both for the sake of comparison. Here are the three vastly different keyboard sizes available. The shaded gray area is the size. The Asus keyboard allow for a dramatic resizing. 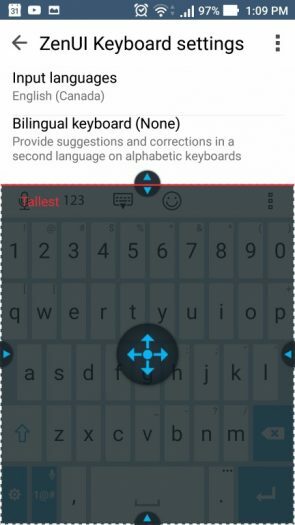 Not only can you make the keys taller, but you can slide the position of the keyboard which makes it easier to deal with during one handed use. 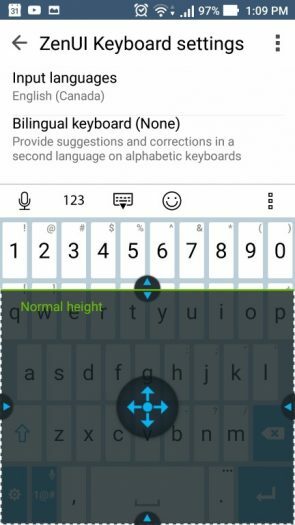 Instead of having the keyboard at the bottom of the display, you can reposition the entire keyboard in the middle of the display which actually makes the phone easier to reach with your thumb. Explore the options because there is a lot to like regarding the default keyboard. 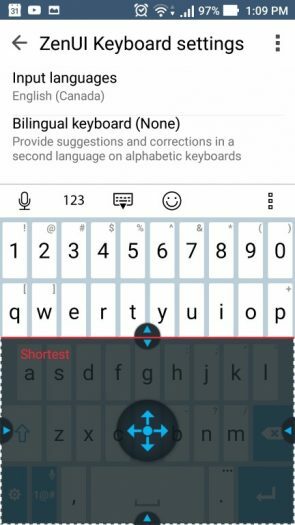 I tried using the Google keyboard and after a period of time it was quite clear that the Google keyboard is far better with AI suggestions and auto correction. But the Google keyboard has somewhat feeble size customization compared to the Asus ZenUI keyboard. There is no clear winner so it ultimately it depends on what’s most important to you. Customization or intelligence. 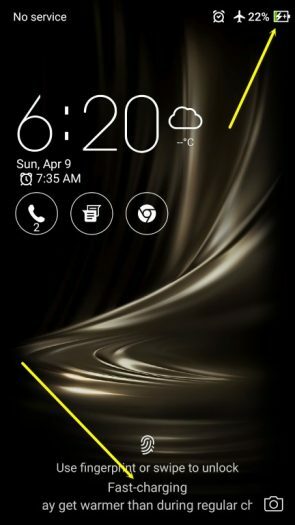 Asus also has ZenMotion which allows you to make a gesture on the display when it is in sleep mode which will quick launch an app of your choosing. I set up a “W” gesture to turn on the flashlight and I can honestly say that having my phone in my pocket often turned the flashlight on. So for me this isn’t reliable enough to trust or use. 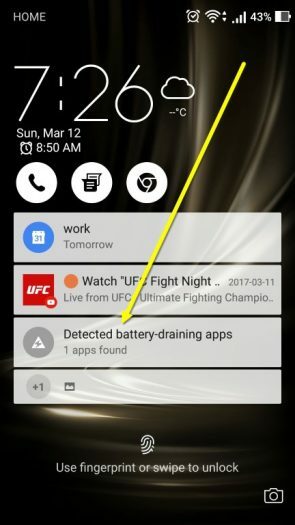 I don’t want to activate some app while the phone is in my pocket only to have the battery draining without my knowing. Nice idea but it still needs work in my opinion. The Zenfone 3 Deluxe shares a similar audio setup as many other flagship phones have. You get a single mono speaker that is located on the bottom of the phone beside the USB-C port. It’s one speaker, but it’s a quality speaker. It’s a 5-magnet design with NXP Smart Amp which Asus claims provides four times better performance according to the Asus spec sheet. It’s capable of Hi-Res audio at 192kHz/24-bit output. I’m not going to get hung up on the Zenfone 3 Deluxe single mono speaker. 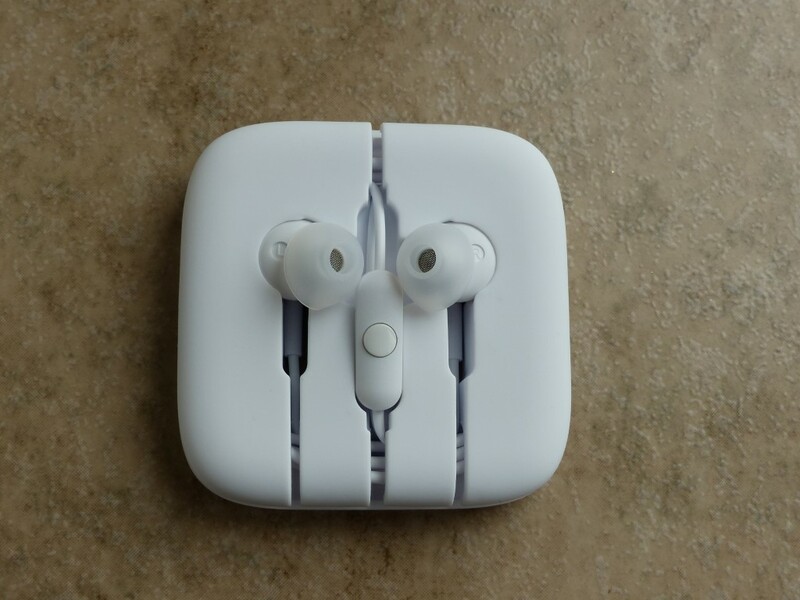 Stereo speakers that have little separation on the bottom side of a smartphone are not conducive to a great listening experience. What I can say is that the speaker is very loud and it’s very clear even at high volume. It can remain distortion free at high volumes which is what you really need from a smartphone. You can get a lot better audio experience by using an external speaker or headset. 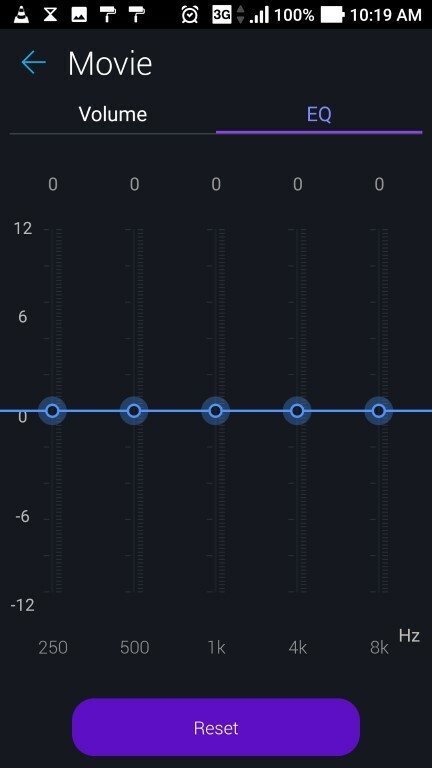 You can shape the audio via the Asus Audio Wizard app which has some presets along with an EQ. The tweaks are far more distinct when using an external audio accessory rather than the onboard speaker. 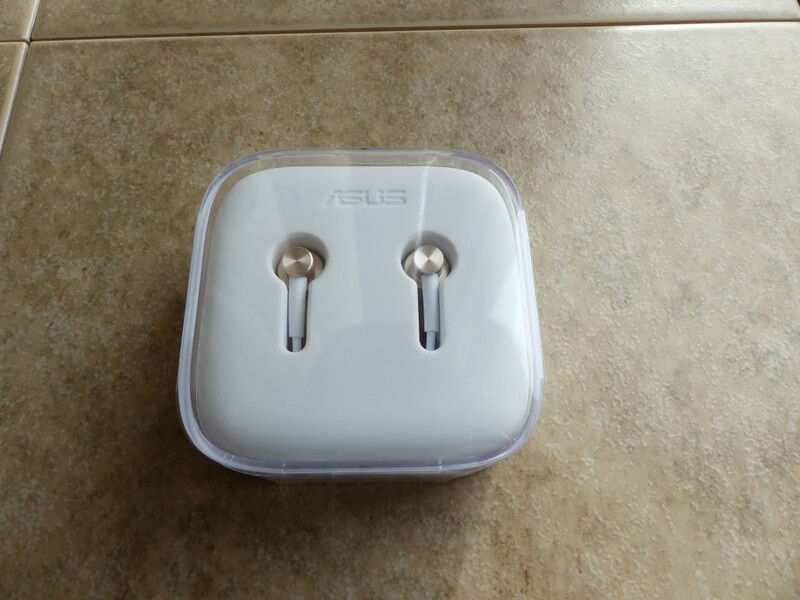 Part of what makes the Zenfone 3 Deluxe the premium package, is that you get the Asus ZenEar S earbuds included in the box. It’s one of those extras that helps soften the more expensive price for this phone. 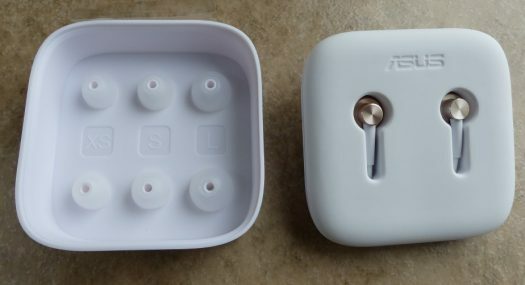 Don’t mistake these as the more basic ZenEar because the ZenEar S are the more deluxe model. The familiar Asus “concentric circle” is part of the ZenEar S design. They look good, they feel good and they sound great. The ZenEar S supports Hi-res audio technology. Asus also included a variety of different bud sizes that you can swap out. 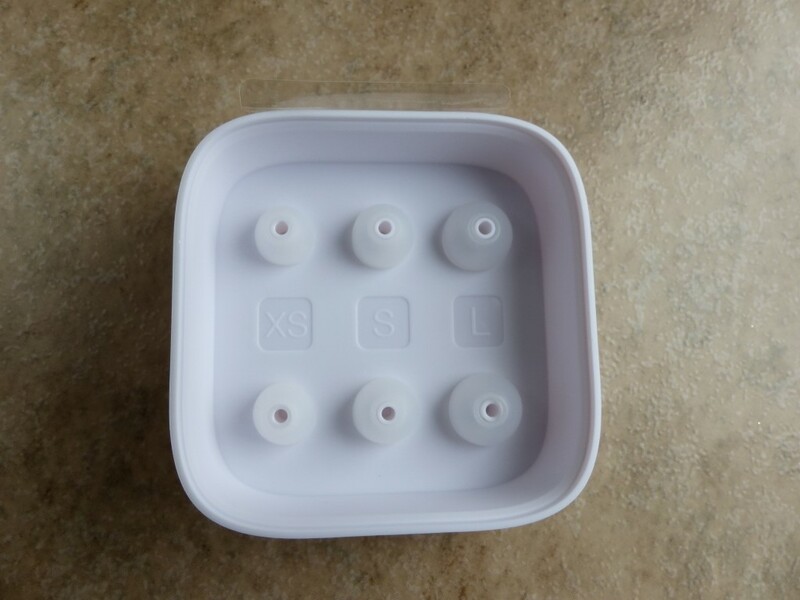 Even if you have a set of earbuds it’s always handy have a swank new one to try out or give to a friend. 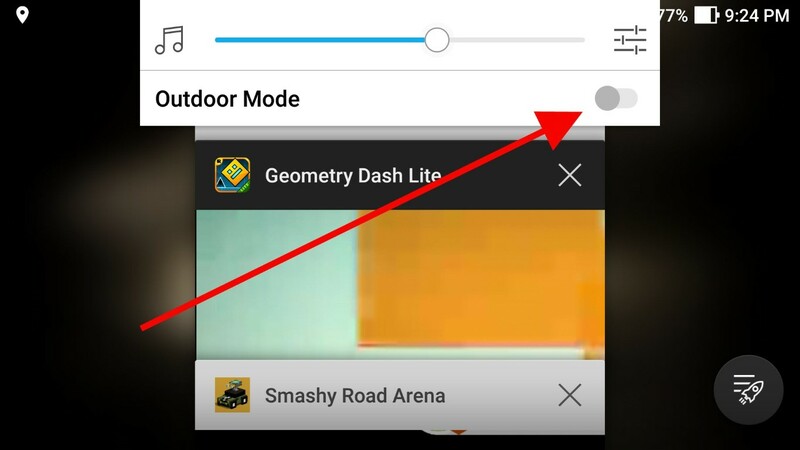 I should also mention that Asus has an audio setting called “outdoor mode”. This is a toggle switch that is displayed alongside the volume slider. Because this toggle shows up each time you adjust your volume, it’s rather easy to accidentally turn it on. What is “outdoor mode”? It’s a way that you can instantly boost the sound. 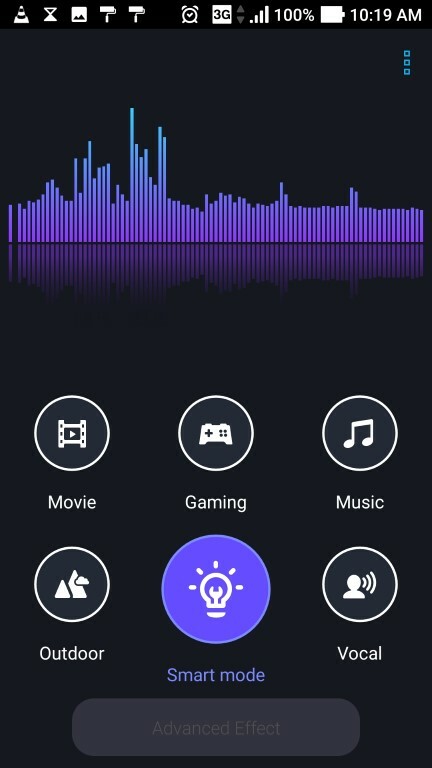 I didn’t say it’s going to improve the audio quality, but it will dramatically boost the volume. 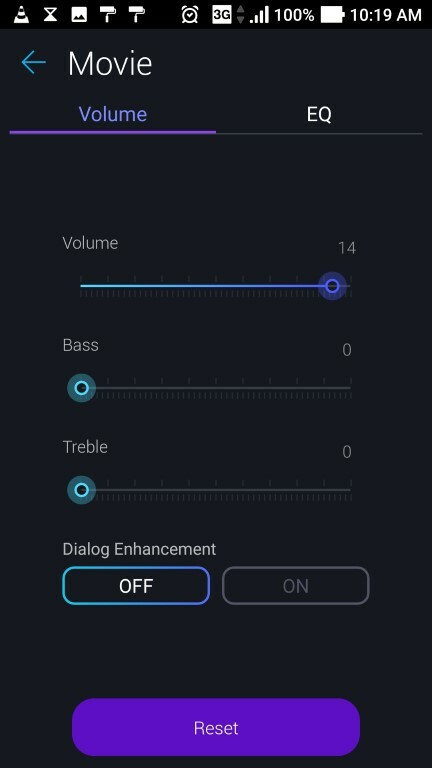 If you don’t need that volume boost, then leave this disabled. To my ears, the “outdoor mode” audio is buggy or glitchy at times. It’s easy to accidentally turn “outdoor mode” on, so beware. Asus put a top notch Sony IMX 318 lens in the rear of the Zenfone 3 Deluxe. 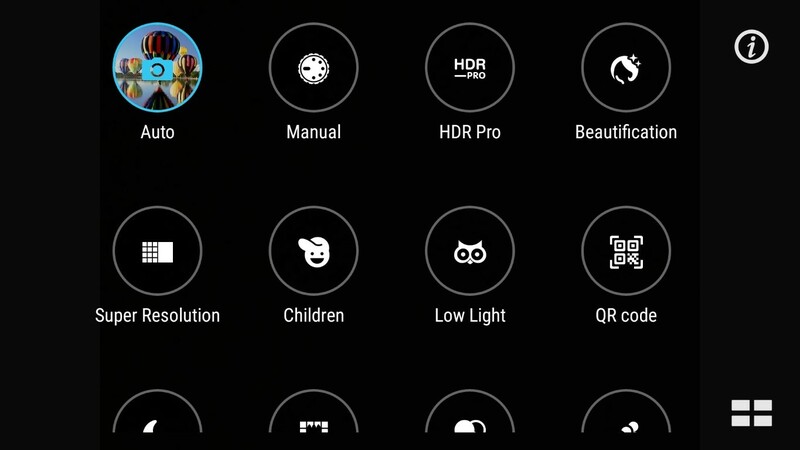 This lens is capable of 23MP photos. The front camera is capable of 8MP photos. Having a high megapixel camera on the Zenfone 3 Deluxe does not equate to photo excellence. It ensures really big file sizes more than anything. 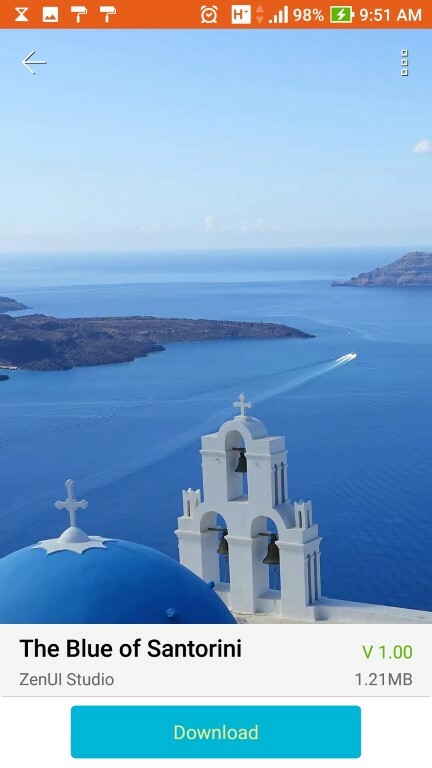 You can obviously choose a smaller size image within the camera settings if you prefer smaller images and smaller file sizes, but changing settings isn’t going to result in better photos. Photography is a tricky subject to review. The number of variables is vast, as is the skill of the reviewer. So I need to disclosure that I am an average photographer who relies on presets and doesn’t get into manual settings. So what I’m reviewing is the largely the “Auto” settings aspect of the Zenfone 3 Deluxe cameras. There are much deeper manual settings which obviously will appeal to the more experienced and knowledgeable photographers out there. I will provide some screenshots of the manual settings which hopefully gives you an idea of what the potential is here. I highly recommend that you seek out other online reviews that provide a more expert analysis of the camera performance when shooting in manual mode. 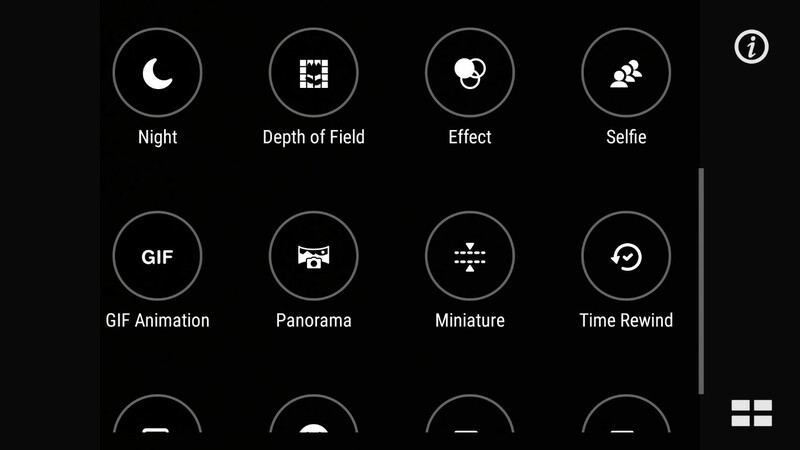 The manual mode gives you control of the following: white balance, exposure value, ISO, shutter speed and focus. If you look at photo samples on the Asus website taken with the Zenfone 3 Deluxe, it’s clear that in the right hands the camera can snap some amazing photos using manual settings. I did rely on the Auto settings. Asus offers a plethora of presets which can help less skilled photographers. Check out the different options shown in the screenshots below. 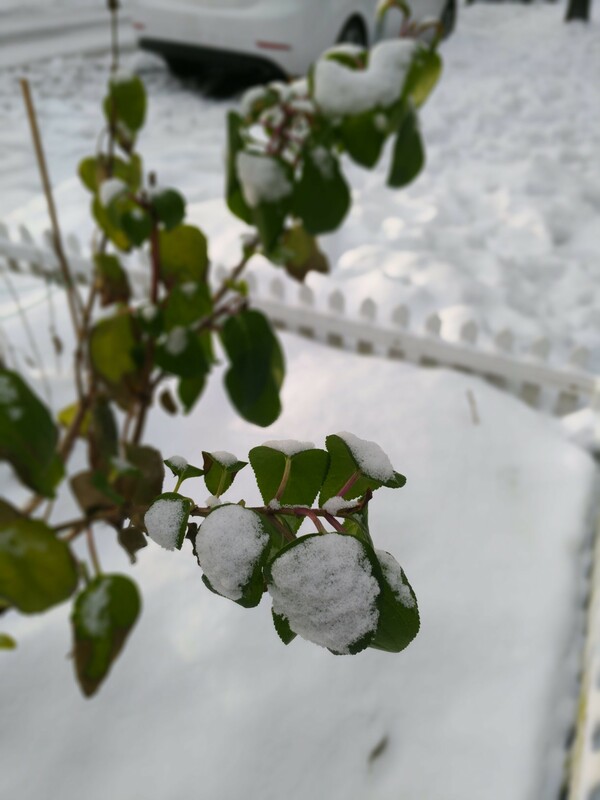 In particular I love the “Depth of Field” preset. There is lots to experiment with and there are not shortages of options. Over an extended period of time I used the Zenfone 3 Deluxe cameras in a wide range of settings and environments. The big 5.7-inch display is great because you can quickly and more easily see if you are in focus prior to snapping your photos. A bigger view finder is always more helpful either before or after taking your photo. Right off the bat, you will find the laser focus to be fast. 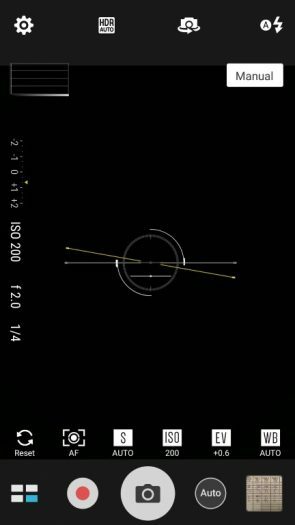 You can let the camera find the focus on your own or you can touch the display (called touch focus) to choose your focal point. There are two benefits to using the “touch focus”. First, slightly changing a focal point means you can manipulate the amount of lighting in a photo. Depending on where you focus, the lighting may improve the photo or make it worse. The benefit here is that you can quickly experiment prior to snapping the photo thanks to the snappy laser focus technology. 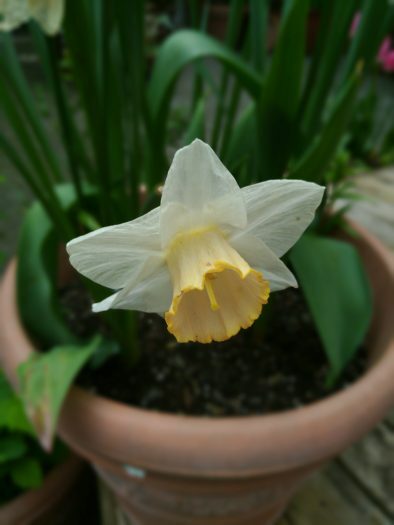 Second, you can use touch focus to focus on an object that is closer to the camera. This use of touch focus results in a modest “depth of field” (blurry background) effect which appears more professional looking. Most cameras struggle with indoor lighting and I would say the Zenfone 3 Deluxe is not immune either. I have a dSLR which struggles with indoor low light situations as well. With that in mind, suggesting the Zenfone 3 Deluxe camera is inferior because of indoor photography isn’t a fair assessment. Low light is going to challenge even the best cameras often times providing a mixed bag of results. Indoor photo using HDR mode. Indoor performance under normal lighting conditions provides good results. When lighting is dimmed indoors, you may need to take a couple different photos while choosing different focus points in order to get the lighting just right. So if you have a bit of sunlight coming through your window, you may find some aspects of the photo as washed out or too bright. You can utilize “touch focus” to find a sweet spot within the shot which will reduce or remove the washout from too much brightness. 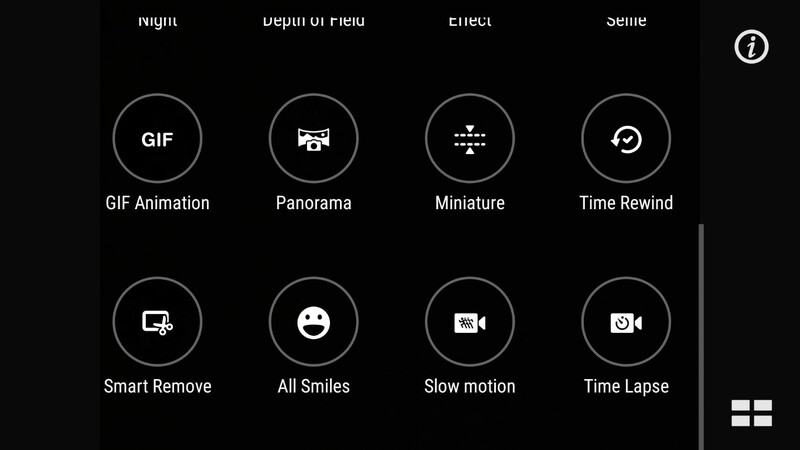 Speaking of focus, the front facing camera will auto focus on faces. The 5.7-inch screen does help as a viewfinder. It’s a bit easier to know if you’re in focus or if the lighting is being captured as you like. The laser focus capabilities of the camera are impressive. Touch focus means you touch the screen and the camera will make that the focus point. This is very responsive. Being able to touch focus means that you can find the best lighting results. You will have a good idea thanks to the big screen as to whether you are in focus or not. 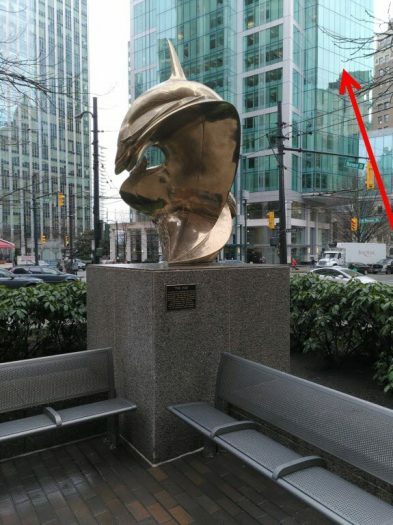 Outdoor camera performance is excellent as you might expect. Indoors is challenging for the camera(s) because there is a wide range of lighting or lack of lighting. Indoor performance usually requires a few different photos with different focus points just to ensure one good photo. Take three or four photos and choose the best one. I’m not trusting enough to snap one photo and hoping that it’s perfect. 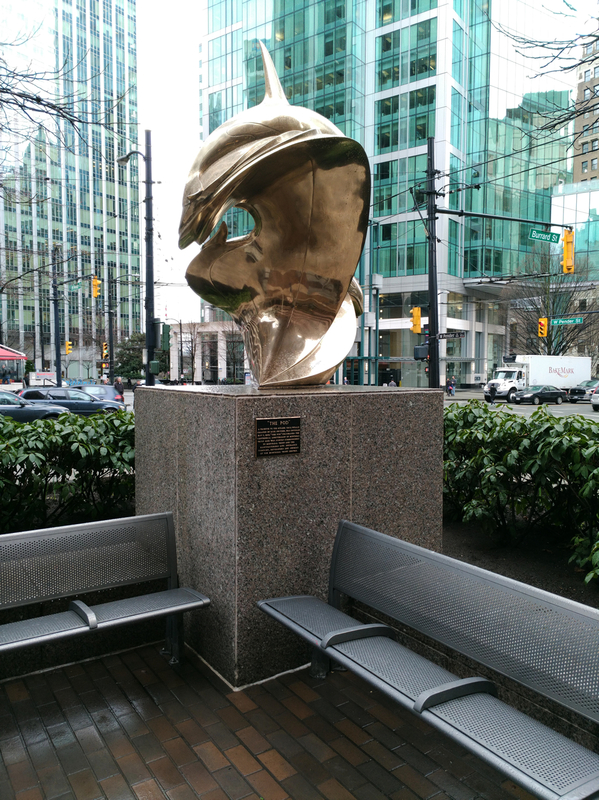 HDR mode is most times required in outdoor environments. Taking photos with the sky and clouds are more accurate with HDR mode enabled. I’ve included some samples of with and without HDR and you can see the more accurate details with the HDR mode enabled. See the reflection on the windows. 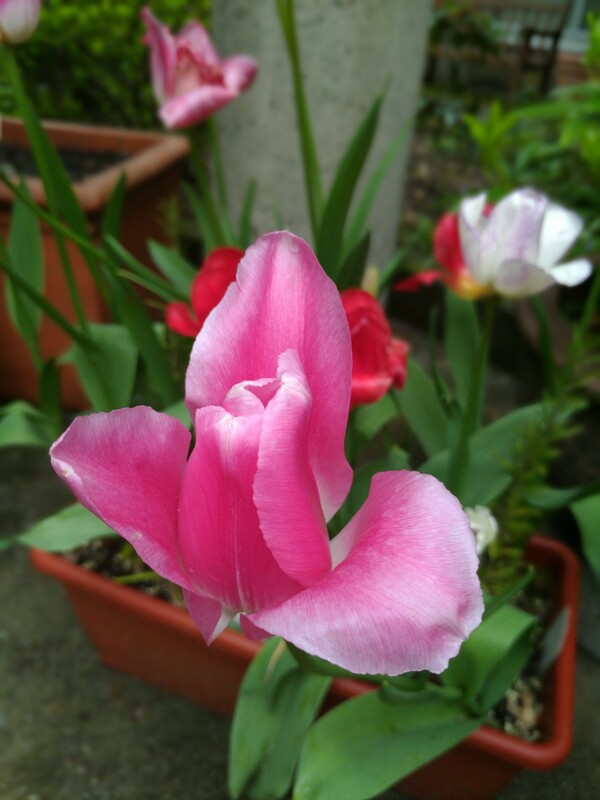 Photo taken with HDR mode off. As a comparison check out the glass on the building when HDR mode is enabled. As you can see quite clearly in the comparison photos above, you are going to want HDR enabled especially outdoors. 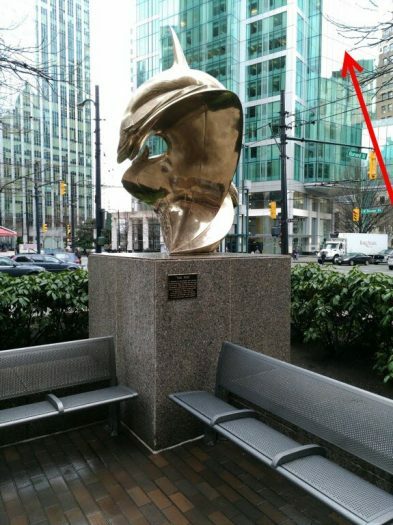 The HDR mode is able to reduce contrast glare for more accurate photos. Sky, clouds, and any brighter areas of a photo are more accurate from my experience when using HDR mode. I feel the Zenfone 3 Deluxe is at its best when shooting video. The quality is due in large part to the OIS (optical image stabilization) and EIS (electronic image stabilization). This technology is employed on both photos and videos but it really shines when video recording. The result is smooth video with little or no noticeable hand shake. I would best call it silky smooth. There are a few different options of video capture quality. 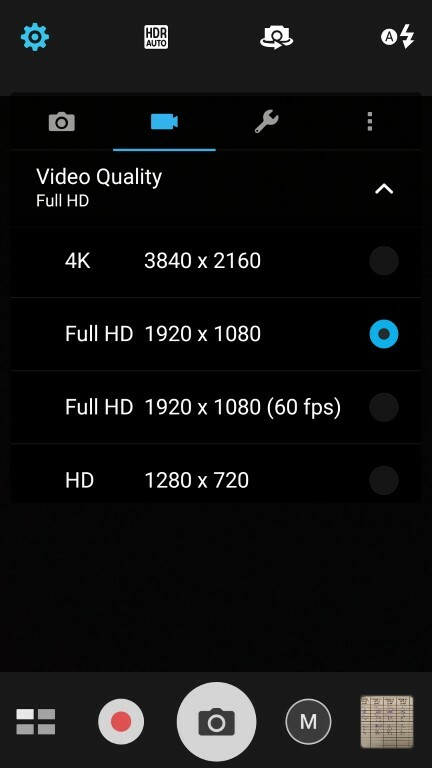 Personally I like 60FPS video at 1080p vs. a 4K video at 30FPS. If you watch 60FPS videos on YouTube you know the difference over 30FPS. It’s substantial and it’s something that doesn’t grow old over time. The good news is that the video taking capabilities of the Zenfone 3 Deluxe are excellent. The front facing camera is 8MP and it fetches excellent results in both photos and video. During a session of Skype the other person did remark how clear my image was. Selfie wise, the results are great outdoors but indoors is a bit more tedious. You can get decent results indoors, but the wide range of brightness levels seems difficult for the camera to deal with. I found taking a few photos and choosing the best one was better than relying on getting a great photo in one try. I realize a lot of people want benchmark results and I will certainly accommodate those requests. 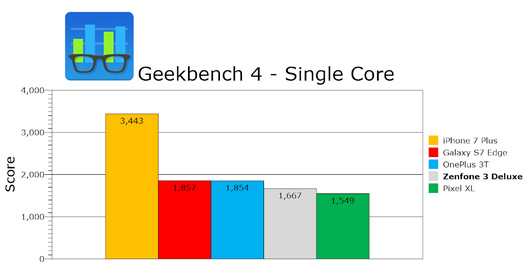 However I also want to make it clear that I’m not a big fan of benchmarks. The reason being is because the top hardware is going to beat the lesser hardware. Benchmarks are going to prove that the more expensive and highest spec hardware is going to fetch better benchmark numbers. Yes there are going to be some differences even between similar hardware from different phones. There will be small differences in numbers among devices with similar hardware, but the reality is that there will not be big differences in real life speed and performance. Companies can tweak their hardware to squeeze a bit more out of it, but that same hardware on a lesser tweaked device is essentially going to feel the same in terms of speed and performance when you use it. I’m saying all this even though you’re going to see the Zenfone 3 Deluxe top out among the best smartphones on the planet. 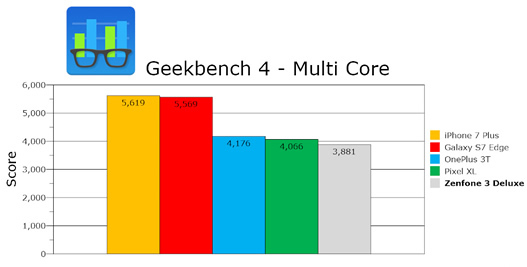 I’m able to predict what the benchmark comparisons are going to tell us even before running them. The Zenfone 3 Deluxe has the Snapdragon 820 alongside some super fast 6GB of RAM and UFS 2.0 storage. All this top end hardware equates to impressive speed and the price of the Zenfone 3 Deluxe will garner top benchmark results. It’s also a good idea for me to clear up some possible confusion about processors. The Zenfone 3 Deluxe model I am reviewing uses the Snapdragon 820. The fastest current processor is the 835 which is found in only a few current smartphones. The second fastest mobile phone processor on the planet is the Snapdragon 821 which is found in some of the competing phones listed in the benchmark result charts below. To confuse matters more, the Zenfone 3 Deluxe Special Edition does have the Snapdragon 821. Therefore the Special Edition model rivals a majority of the current Android phones on the market at the time of writing. I didn’t just review this phone; I used it exclusively over an extended period of time. It wasn’t about running a bunch of tests over a short period of time. I’ve had enough time to evaluate the Zenfone 3 Deluxe and weigh the good and bad as an end user rather than just a product reviewer. In terms of beauty, it has an incredible all metal design which really has to be seen and held in person to fully appreciate. It’s not the kind of phone that you want to hide behind a case or cover. It’s begging for a clear case because part of what you’re paying for is a nice looking phone. It doesn’t make sense to hide it. Not only does it score top marks in the design category, but the Zenfone 3 Deluxe also comes packed with the top end hardware that you would expect from a phone that is named “Deluxe”. The hardware is right up there with the top smartphones on the market even in mid 2017. The super AMOLED display is the real hero here though. Unlike IPS displays, there is just something special about an AMOLED display. It looks better and I can honestly say that I marveled at it every time I used this phone over the past number of months. I like this AMOLED display so much that I won’t buy another phone without it. The software side of things may be a point of concern, however I found ZenUI 3.0 to be an excellent addition to Android and not a detractor. There are some tweaks and manual changes that you will likely want, but these are minutes of your time to deal with. Don’t believe a lot of misinformation and complaining online about bloatware and the Zenfone 3 series. 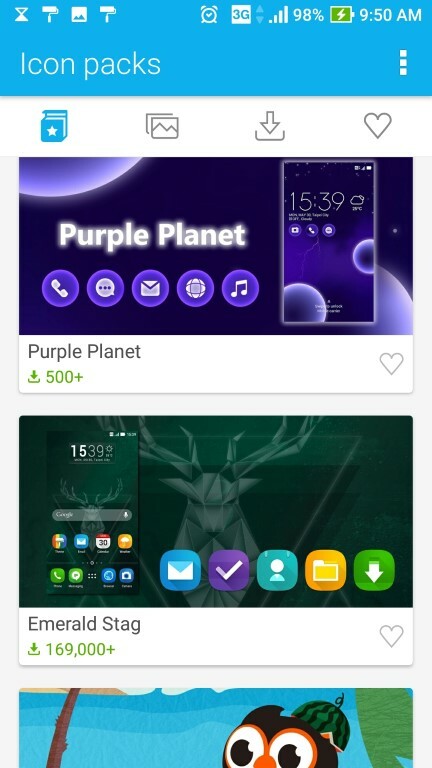 The fact is you can set this phone up how you like and if you want to replace the ZenUI version of apps with Google versions you certainly can. As a test, I set up the Zenfone 3 Deluxe to run apps and run virtually identical to my Nexus 5. People are often concerned about future Android updates and software updates. Asus has already rolled out the Android 7.0 Nougat update and continues to roll out frequent software updates to improve performance and fix various issues. I’ve used the camera extensively over the past couple of months and I’ve been happy with the results. As a photographer I have some limitations, but the Zenfone 3 Deluxe has enough custom settings that a more talented and experienced photographer will be satisfied. Low light photography isn’t top of class but most cameras struggle under similar environments. The video taking capabilities of the Zenfone 3 Deluxe are most impressive thanks to the anti-shake technologies and the ability to 4K video or 1080p video at 60FPS. Asus has stated that they aren’t in the smartphone business to play the race to the bottom in terms of pricing. The fact is there is always someone out there with a cheaper price so it’s ultimately a fruitless pursuit. 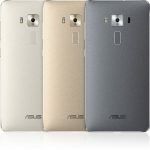 With Asus being known as having cheaper prices, consumers have been critical of the Zenfone 3 Deluxe pricing. The Zenfone 3 Deluxe is certainly cheaper than the flagship smartphones from the likes of Apple and Samsung. At the same time there are some even cheaper competing phones that carry flagship hardware as well. Those cheaper phones certainly lack the design and luxurious looks of the Zenfone 3 Deluxe so there is always compromise involved. So part of the buying decision is based on whether you feel that looks and design are worth paying a bit extra for. Do you want a phone that’s both fast and beautiful or do you want a phone that’s slightly faster and not so beautiful? 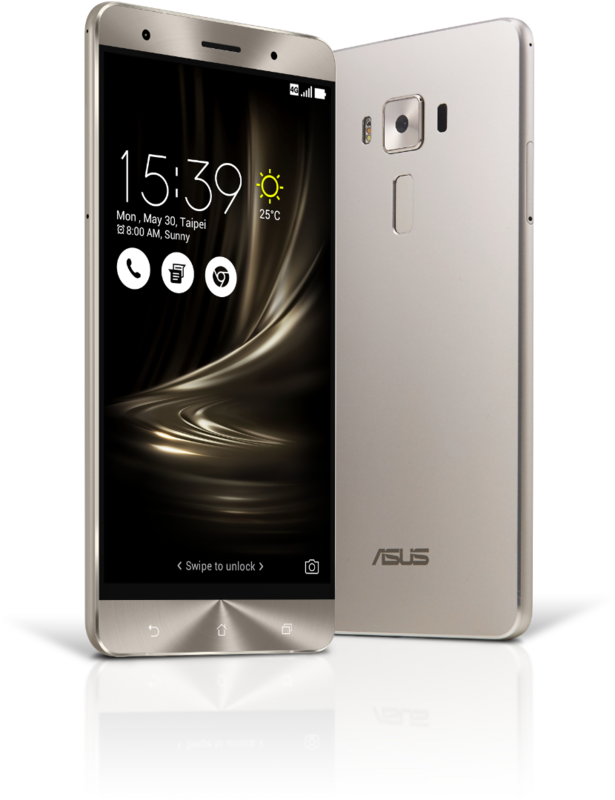 With the Zenfone 3 Deluxe, Asus set out to create a phone that can compete head to head with the Samsung and Apple flagship devices. Design wise, the Zenfone 3 Deluxe is at the top or near the top. Hardware wise, the Zenfone 3 Deluxe is right there among the fastest smartphones on the planet even as we approach mid 2017. Frankly speaking it’s the best phone Asus has made to date. Premium devices come with premium prices. Because I view this phone on the same level as the Samsung and Apple flagships, the price comparisons show that the Zenfone 3 Deluxe is a better value. In fact the Zenfone 3 Deluxe is hundreds of dollars cheaper than the Samsung and Apple flagships when you consider storage and RAM. Asus is offering more for less. 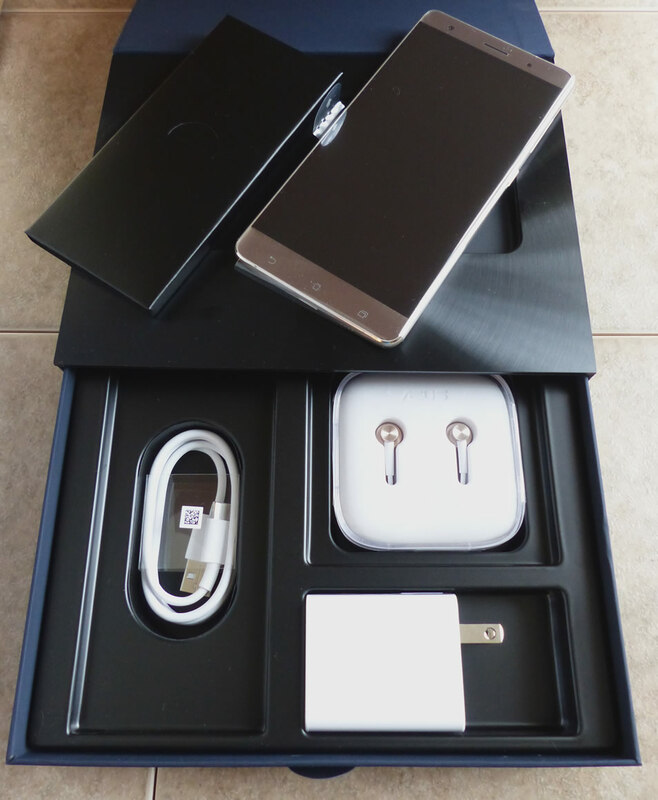 My experience over the past couple of months with the Zenfone 3 Deluxe has been a pleasure. It’s not only nice to look at, but it’s also super fast. It’s certainly worthy of the price tag. The Zenfone 3 Deluxe proves that Asus is a serious player in the phone space and that they can deliver a truly premium handset.